It’s been a while since we’ve talked cookies. 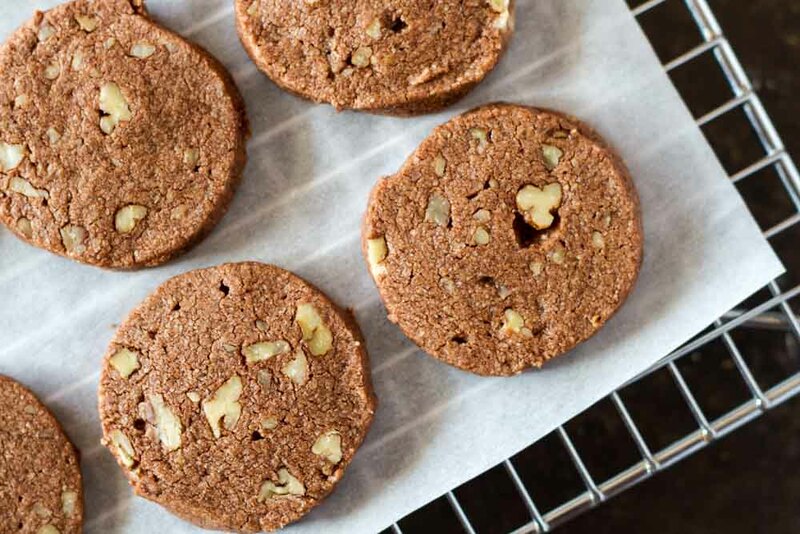 And these buttery chocolate pecan shortbread cookies are worth talking about. I’ve been good this year so far. I spent most of January creating super healthy recipes to help us all stick to our health goals. I’ve eaten my fair share of Detox Cabbage Soup and my freezer is full of nutrient-dense casseroles like Creamy Chicken Broccoli Cauliflower Rice Casserole and Finnish Cabbage Casserole. But now it’s almost Valentine’s Day. And my language of love is DEFINITELY food. And I’m excited to shower my loved ones with a little bit of sweetness. 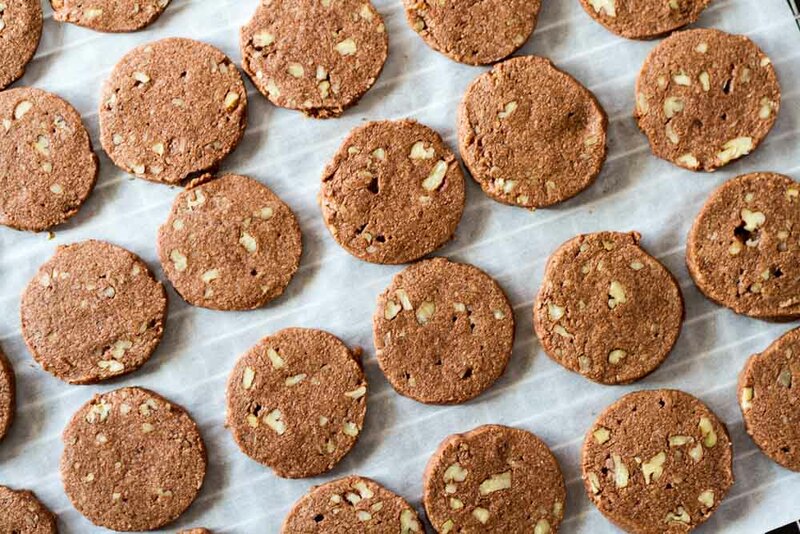 These simple Chocolate Pecan Shortbread Cookies are my Valentine’s Day recipe for the year. 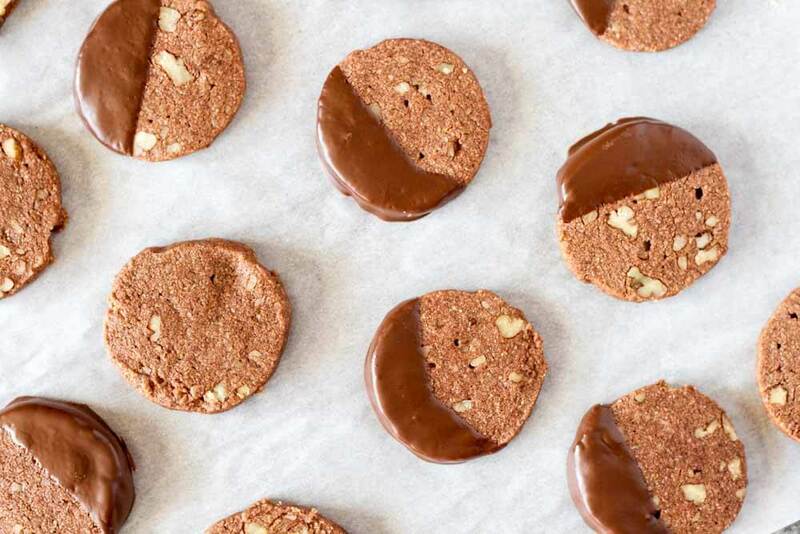 Because you just slice them into rounds from a cookie roll, they are super easy to throw together. 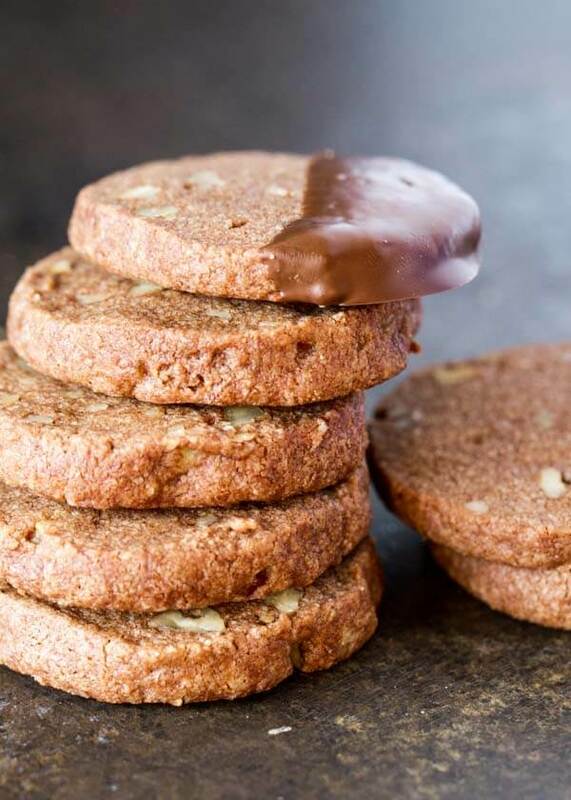 They are buttery and chocolately and can be dipped in MORE chocolate to make them extra special. Your loved ones will LOVE them. And no one will even guess that they are gluten and egg free. I promise! I just love no fuss baking. Even the most inexperienced baker can make a cookie roll and slice it into rounds. You can make the cookie roll a couple days in advance if you like. It stores well in the fridge for up to 2 days. Cookie rolls are notorious for getting flat on one side while cooling in freezer. 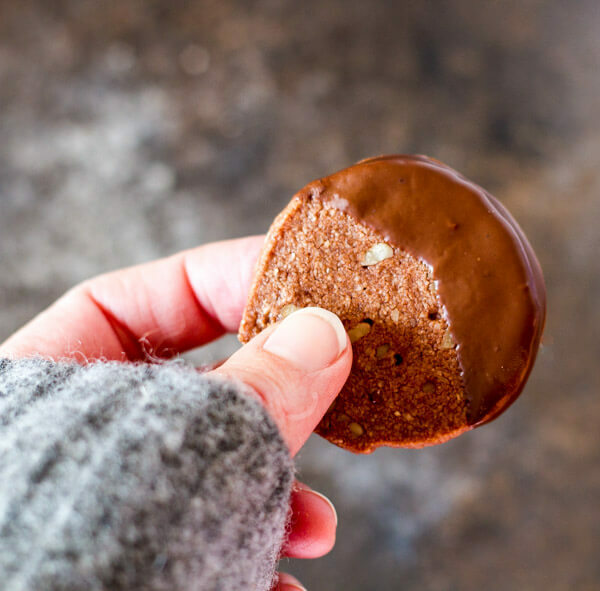 I’m not a stickler for perfectly round cookies, but I’ve heard that cutting a paper towel roll open lengthwise and placing your cookie roll inside helps keep the round shape. I didn’t have any paper towels around so didn’t get a chance to it. 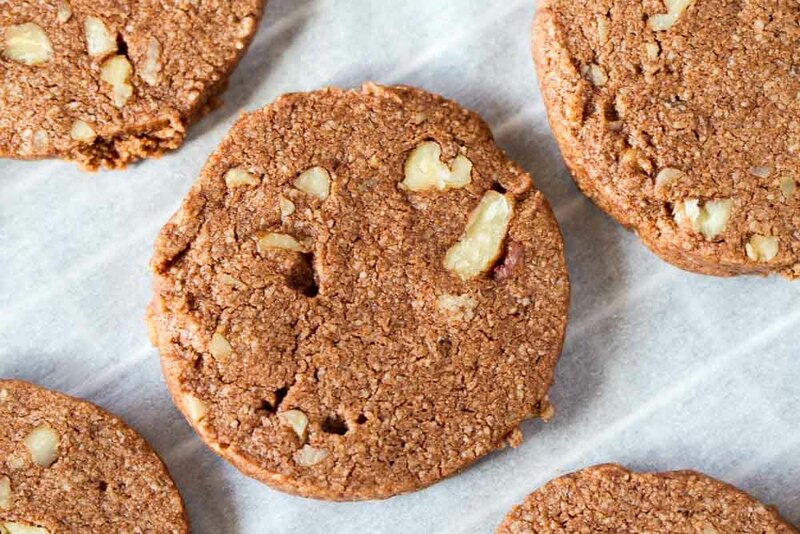 Lightly crispy, slightly chewy, and loaded with toasted pecans and buttery chocolate flavor. What more could you ask for in a cookie? P.S. If shortbread cookies are your jam, you may also love my Rose Shortbread Cookies. 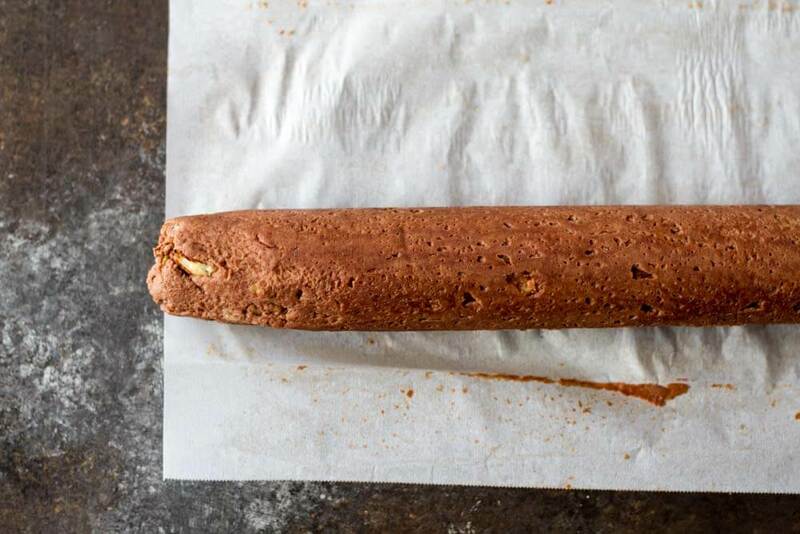 Combine almond flour, arrowroot, and cacao powder. Mix well and set aside. In food processor, combine butter, maple syrup, and salt and process until creamy smooth. Add almond flour mixture one cup at a time and pulse into wet mixture until dough is well combined but not yet forming a ball of dough. Scrape sides and add chopped pecans. Pulse a couple of times to incorporate. Do not over-process as this makes pecan pieces disappear and makes dough too soft to handle. 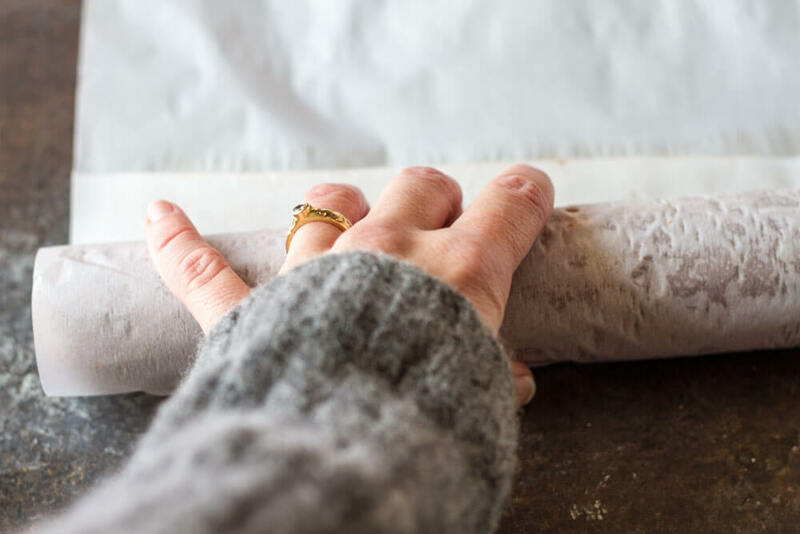 Remove dough from freezer and slice into 1/8 to 1/4 inch rounds. Bake for 12-15 minutes, until firm on edges. Watch carefully as these cookies will brown very quickly towards the end. * I prefer to use raw cacao powder for the higher nutritional content. Regular unsweetened cocoa powder will work as well. ** Toasting the pecan beforehand will bring out their flavor a bit. Totally optional, but worth it. Simply dry toast pecans in a hot skillet until fragrant. Be careful not to burn them. *** Cookie rolls are notorious for getting on one side while cooling in freezer. 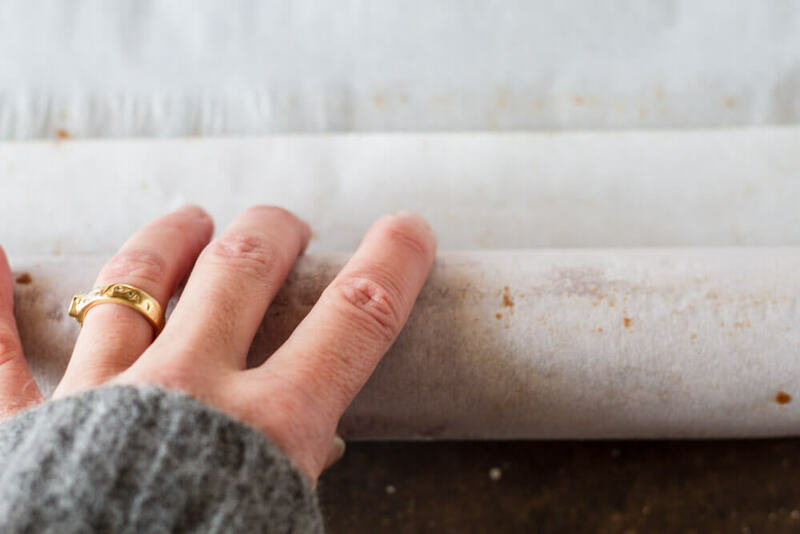 I’m not a stickler for perfectly round cookies, but I’ve heard that cutting a paper towel roll open lengthwise and placing your cookie roll inside helps keep the round shape. I didn’t have any paper towels around so didn’t get a chance to try it. 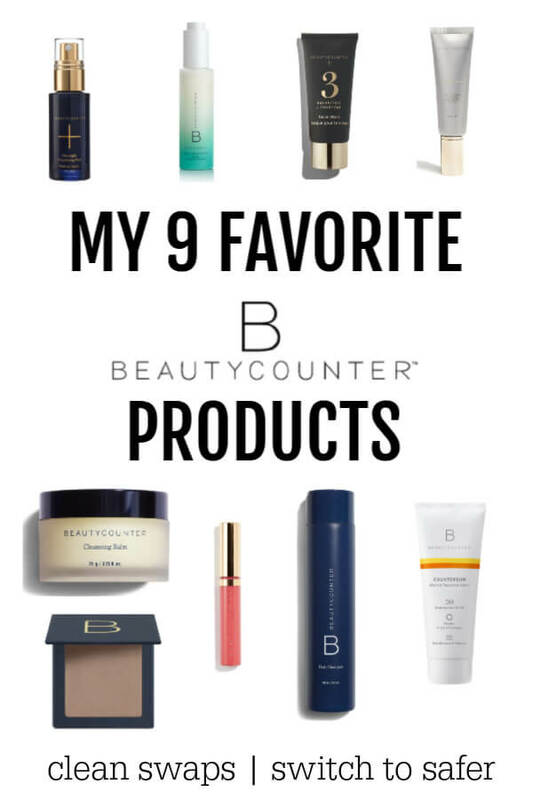 I can’t wait to try these!! 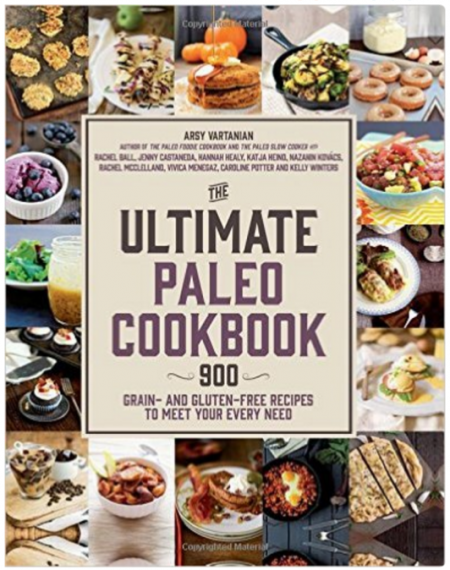 I adore shortbread, and this one Paleo to bot! Thanks for sharing it with us! How cute are these? Looks so good and I love the dipped chocolate. It’s almost dangerous how convenient this recipe looks. So dangerous, I just have to try it. 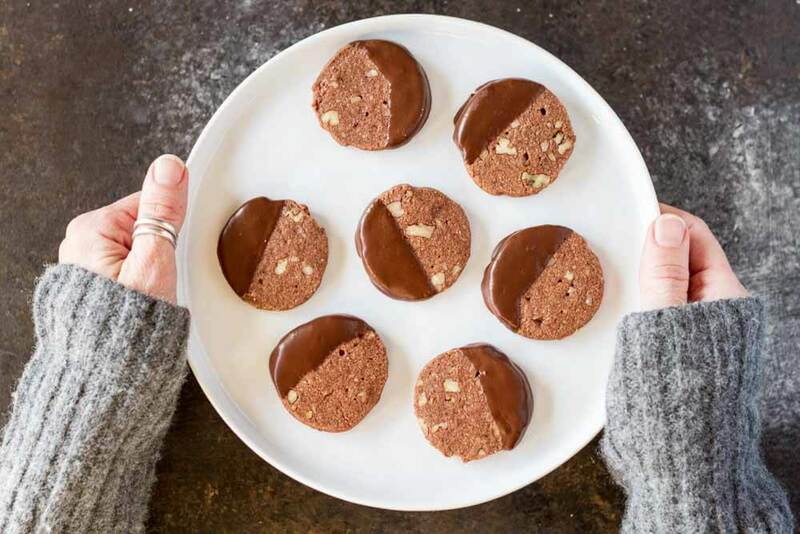 Love the blend of nutty shortbread with chocolate, too. Yum! 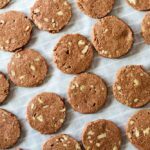 Shortbread cookies are my favorite- and with chocolate and pecans? Yes, please! I’ve never made cookies this way! These look amazing. Thank you! Nom nom nom! 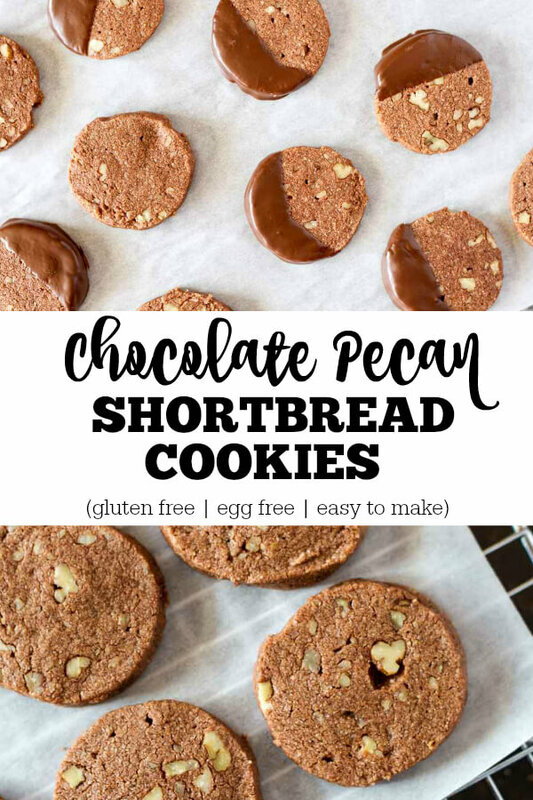 I love the combo of chocolate and pecan – this looks so good! Holy smokes these look so buttery and delicious and just perfect. I was just thinking to make cookies like these. Now I’ll have to make yours first ! I love shortbread cookies!!! These look tasty. Thank you! They are pretty dang tasty! These are so gorgeous! My love language is food as well, and most definitely chocolate! I love the sound of these – pecans are one of our favourites! I love pecan cookies too. ENJOY!